In mid 2014 Lyon began a collaboration with contemporary dance company Rambert to create a series of new artworks. 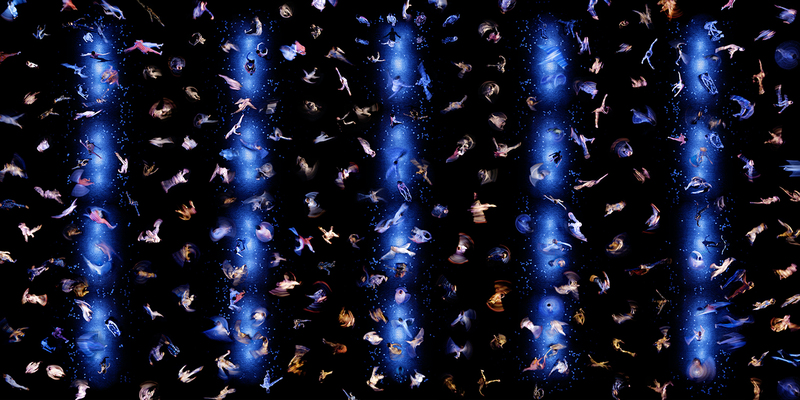 Now complete and on show at the dance company’s HQ on London’s South Bank, the works explore the movement of an entire dance piece in a single image. These images have excited the interest of contemporary art world and Four Elements was featured on the cover of the influential chinese art magazine ArtZip’s January 2015 issue. Lyon was thrilled to have a video interview featured as the top story on Lens Culture, and has since had reviews on Wired.com, The Telegraph and The Guardian, both online and in print. Additionally he is honored with the announcment of a short listing for the prestigious Aesthetica Art Prize, and to be named a finalist in Lens Culture Exposure Awards which will include a show at Somerset House in conjunction with Photo London. The images from the RAMBERT series were born out of a collaboration between one of the world’s foremost contemporary dance companies and Lyon over a number of rehearsals and performances. Lyon, Artistic Director Mark Baldwin and Rehearsal Director Angela Towler worked to develop a process where by a whole piece could be visualised in a single work. Endeavouring to bring a new perspective to the art of recording dance, the works challenge the conventional practice of sourcing a single moment by drawing on multiple sequences brought to life through a series of dynamic images created from each part of the dance. The final artworks draw heavily on a mix of the real and the imagined as the dancers weave dynamic patterns of movement across the canvas of the stage in honour of the of the scale and emotional content of the actual choreography.